→ Gold/Silver/Crystal Scripting Tutorial ~HELP! Re: Gold/Silver/Crystal Scripting Tutorial ~HELP! what is the filesize of that? I have no acess on internet on laptop,only on phone,so,i will only transfer files via cable,. do you think its of 3digit megabytes? oh nvm I was wrong, .net framework installer is only about 22mb. i found an .exe installer of .net framework 4 but its only 800kb plus and it doesnt install on the laptop. Do I get the wrong file? .net framework 2 says it is already installed on the laptop, windows 7, and yet, AGIXP cannot install. I wonder what is the problem? do you have a link of that here in the board? thanks men,youre such a great help! Btw,is my request already done? EDIT: i seem to repaired the tileset editors problem , but now it seems to have a much bigger problem .. 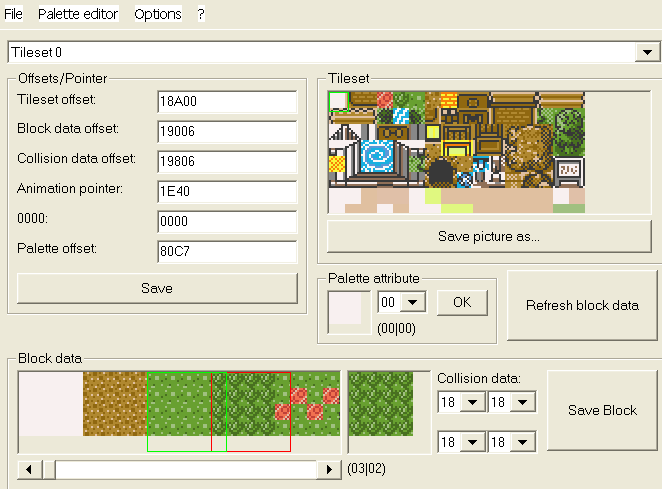 However, even though the Tileset Editor can be harder to use when the DPI is set higher, it allows you access the second part of a tileset when a 128x96 tileset is inserted. nope,i haven't tried, i have no tools and i don't have pc,haha. I made that tiles using my paint-like application on my phone. The 2nd tileset is nearly to be finished. Thank you.